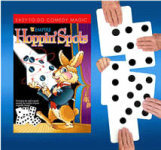 You'll see spots in front of your eyes! 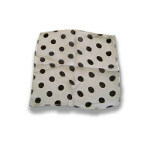 A very useful 12-inch size polka dotted silk that can be used in so many routines! 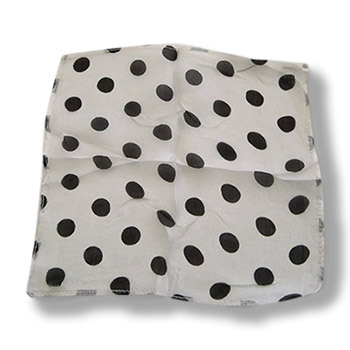 This is a 12" WHITE silk with BLACK dots. 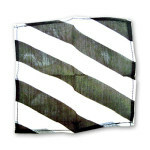 We also carry this silk in a 9" size. 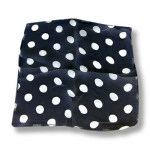 We also carry a 12" BLACK silk with WHITE dots. 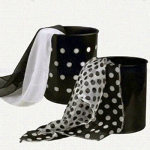 Also perfect replacement for the METAMORPHO SPOTS silks, in case yours are worn or lost! 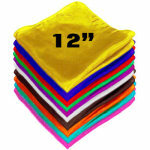 These silks measure approximately 12" on a side. 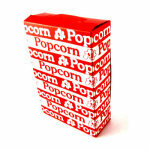 Measures approximately 12" on each side. 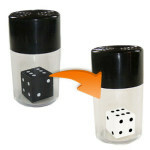 The Chinese manufacturers do not measure in inches, so what is supplied to us as a 12" Silk may not be exactly 12 inches. Please expect this silk to be ABOUT 12" on a side, but it could be as much as a half inch smaller, depending on the manufacturer and the current stock that was shipped to us.